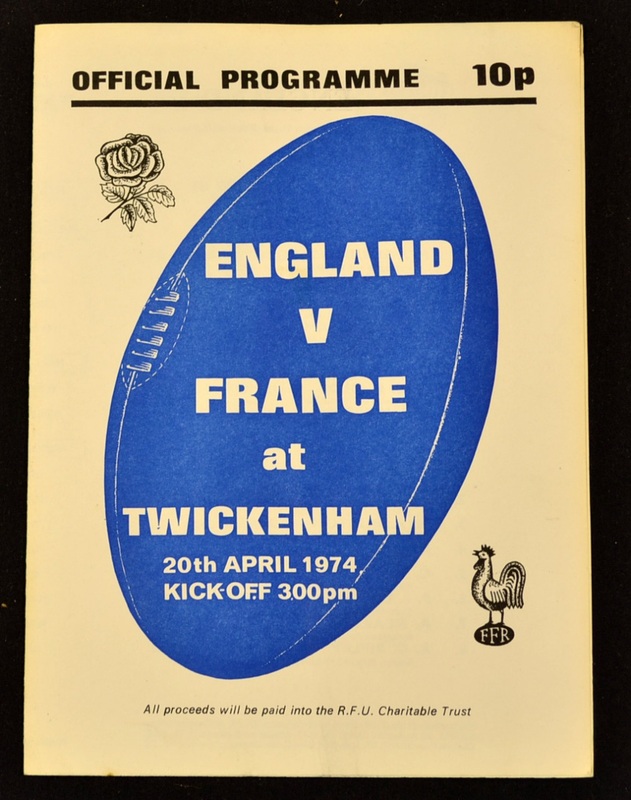 1974 Paris Air Disaster Match Rugby Programme: The sad April fundraiser, England v France at Twickenham after the crash of a flight from Paris to London after international day that March. 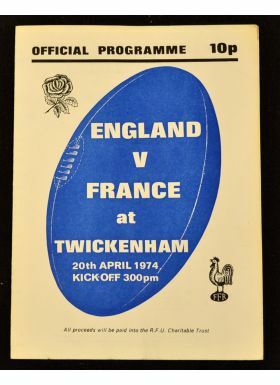 For instance, 18 members of Bury St Edmunds RFC died, as did News of the World journalist Lloyd Lewis. 4pp clean, bright foldover card. Excellent.